Baby rattles have been around for millenia. In Poland in 2013, archeologists unmassed a grave over 2,500 years old and found, alongside a collection of tiny urns, a collection of baby rattles. These particular rattles were made from clay and held tiny clay beads, which rattled when shaken. Such vessels would continue to be made in much the same way for thousands of years. The clay could be shaped to form birds, dogs and other animals. Rattles made from gourds filled with dried seeds would also have been made during this time. 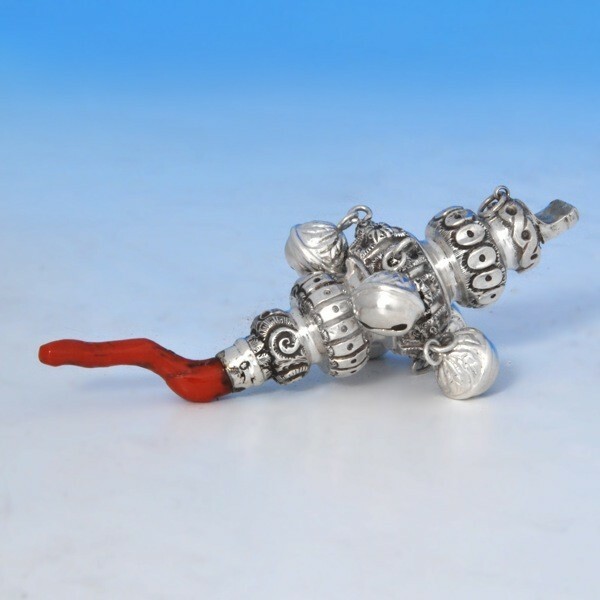 By the 1800’s silversmiths began to make these small toys in silver. These would have been more suitable for baby, as clay rattles could be easily broken, making them unsafe for small children. 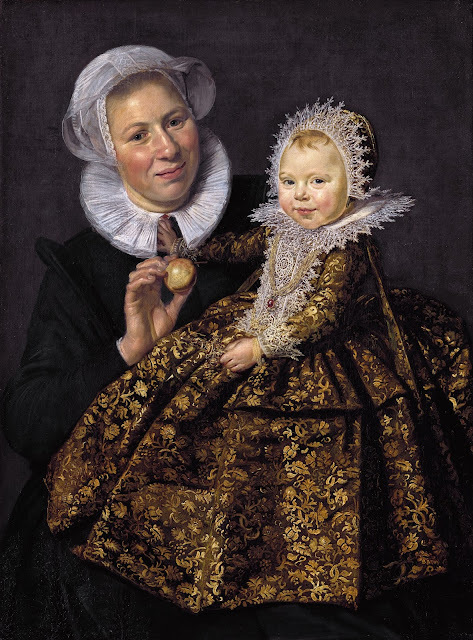 As well as using silver, craftsmen would add coral or ivory which the baby could chew on when teething. The coral was likely used because it is believed coral symbolises life and blood force energy. Ivory was said to represent purity and innocence. They might be embellished with mother of pearl or tortoise shell with features such as bells and whistles added on. The added bonus of using silver is its antimicrobial properties, said to aid in fighting infection, healing wounds and protecting against germs and bacteria in general. Magical stuff. Today, many collectors gather all manner of baby related items and the baby rattle remains a firm favourite. The Victorian baby rattle is a highly sought after specimen. We occasionally come across these Victorian delights here in our shop but they don’t hang around long. This ornate sterling silver William IV baby rattle bears an 1833 Birmingham hallmark. With tiny silver bells and a pop of colour provided by the pretty coral teething handle, this was sure to have delighted any child who received it. What’s not to be enchanted by; it’s shiny and noisy it’s got colour and to top it off, there’s a whistle too, so baby can make their own sounds. A winner of a gift for the newest member of the family.